When is the right time to have a baby? This is the question most women ask themselves at some point, knowing that having a child is a massive life-change that will impact every part of their life, both personally and professionally. Unfortunately, becoming pregnant is not something which any woman can plan with any degree of certainty and ‘save the date’ in her busy diary. Taking the first steps towards getting some advice and answers can however help women feel more empowered and give them back a feeling of control. 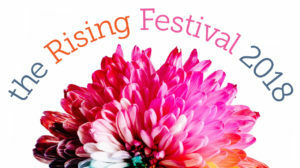 Bourn Hall Clinic is proud to be supporting this year’s The Rising Festival in Cambridge on March 10, which aims to empower women to change their lives. This year’s theme is Evoke a Journey of Change – Celebrating International Women’s Day and aims to equip delegates with the tools to start investing in themselves and learn how to navigate their next steps in life. Kate from Cambridgeshire is attending the event. 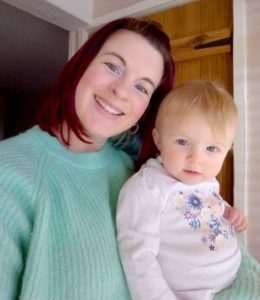 Kate divides her time between being a mum to ten-month-old Amber alongside running her own mobile hairdressing business and doing the paperwork for her husband’s successful marquee company. Kate met husband Nick when they were both teenagers and knew that she wanted children one day. By the time they were in their early twenties the couple had already bought their first house and each set up their own businesses so decided that the time was right to start a family. “We didn’t know how long it would take to conceive because you don’t know until you start trying and so it was the unknown,” says Kate, whose business grew so much that at one point she had 200 clients on her books. “I was given lots of advice from people about how long it should be taking us to get pregnant and I tried not to worry too much about it but as time went on and nothing was happening I started to think ‘why us?’,” she admits. The couple were eventually referred for hospital tests and they were told that they had ‘unexplained infertility’ and were referred for fertility treatment. Kate and Nick chose to have their treatment at Bourn Hall Clinic, Cambridge, which was only a 15 minute drive from their home, and were delighted when their treatment worked first time. Kate kept up her exercise regime and as well as going to the gym took up pregnancy yoga. “The yoga helped me massively with my breathing,” says Kate. Amber was born last May and now that Kate has less time on her hands she has bought herself some exercise equipment to use at home. Bourn Hall will have a stand at the Rising Festival and will have a fertility nurse specialist on hand to talk to delegates.